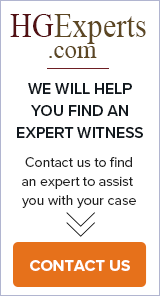 Audio/Video/Image/Photograph/Voice Forensics and Analysis, Court qualified expert witness. Authentication, Enhancement, Restoration. Forensic Transcription. Analog to digital transfer services. Noise reduction/removal. Video frame capture and printing. Signal Processing and Research Lab. Beryl Audio Forensics Laboratory, Inc.
Prism Forensics LLC is a certified audio forensic consulting service, specializing in the authentication and enhancement of digital & analogue recordings.